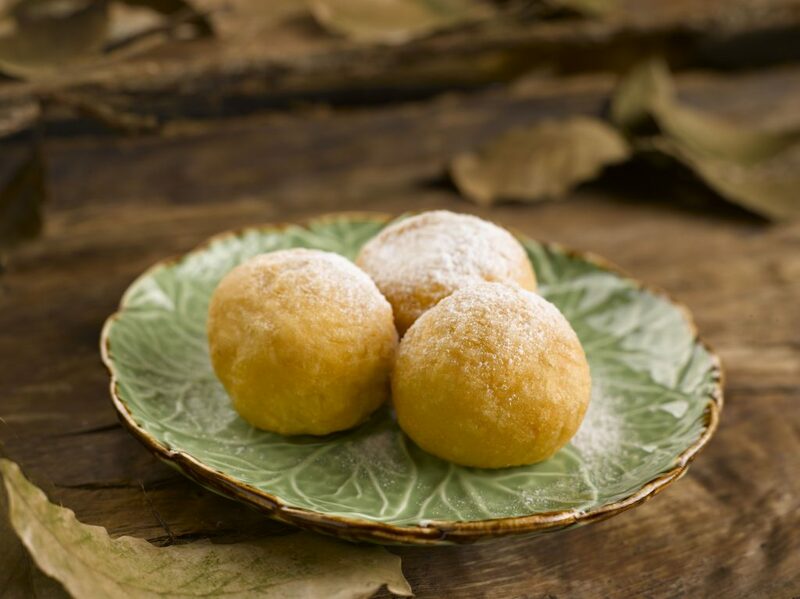 Crystal Jade Jiang Nan presents a refreshing and contemporary gastronomic experience with a thoughtfully- curated menu that encourages communal dining over small plates, or 小菜, paired with a selection of fine teas, wines and more. 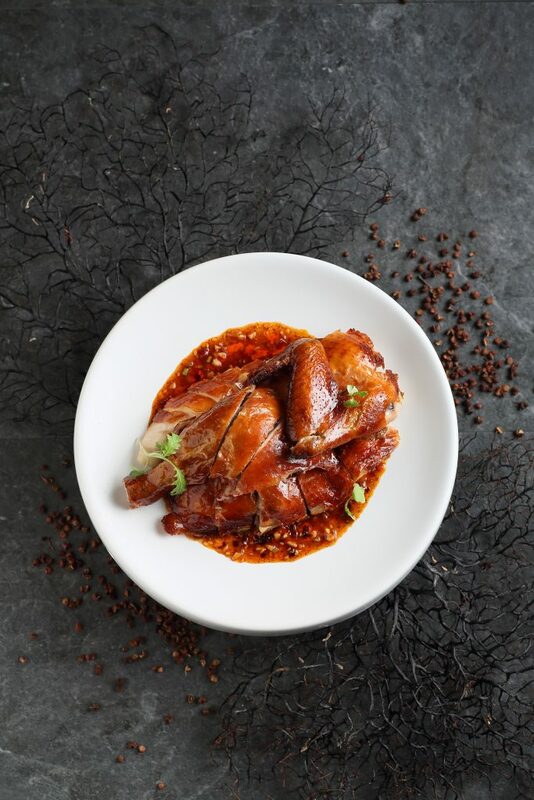 Group Executive Chef Martin Foo has crafted an extensive selection famed regional delicacies; some reinvented with his distinct modern touch, as well as select Sichuan specialties. 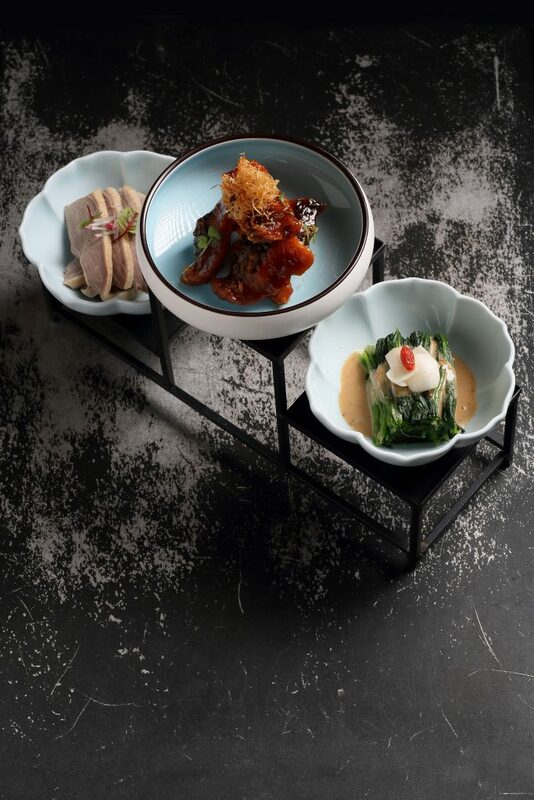 Three delicacies platter 巧手三拼 ($16.80 per portion); comprising chilled Nanjing salted duck slices 南京盐水鸭, Chilled spinach and fresh lily bulbs with sesame sauce 菠菜鲜百合, andJiangsu smoked fish 江苏熏鱼; a delicacy of spice-marinated grass carp fish pieces which are first flash-fried, then cloaked in a sauce prepared with Shaoxing wine, black vinegar, brown sugar and dark soy sauce. Crowned with a Huadiao wine granita, smooth and tender Iced drunken chicken 冰镇醉鸡 ($11.80 per portion) and Chilled sliced pork with signature minced garlic & chilli oil 蒜泥白肉 are two other familiar favourites. 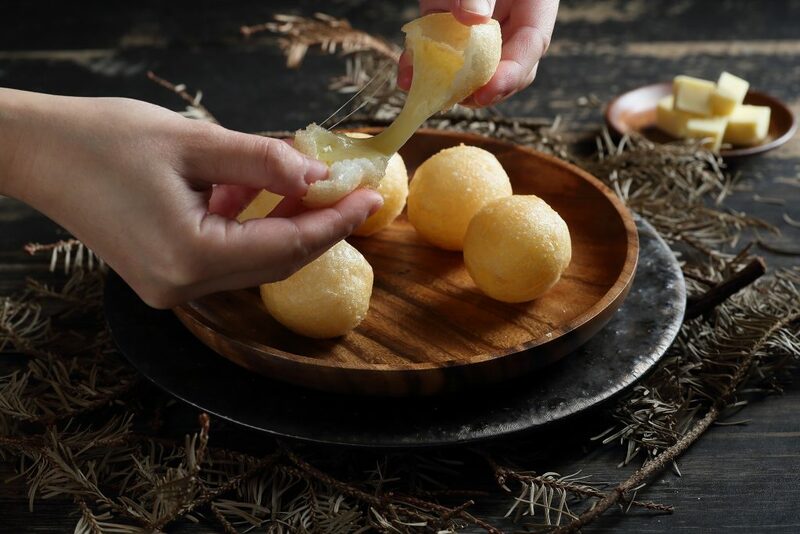 Chef Foo has also created a Cheesy crisp mochi ball 芝士汤圆 ($10.80 for 6 pcs, pictured right) which feature a light and subtly-sweet golden-brown exterior enveloping a soft and stretchy mozzarella cheese centre. 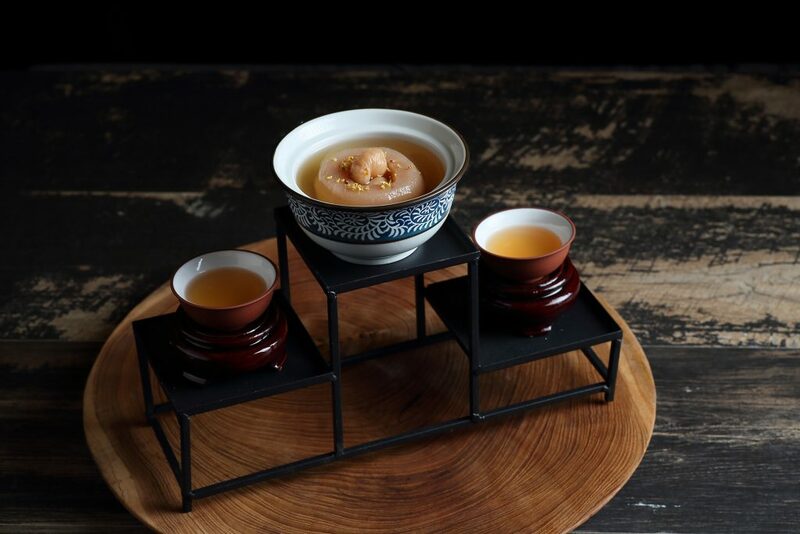 Tuck into wholesome and varied soups the likes of a luscious Song’s thick fish soup 宋嫂鱼羹 ($9.80 per person), meaty Double-boiled tender ‘lion head’ meatballs broth 清炖狮子头($8.80 per person), as well as an exquisite Double-boiled conpoy and Chrysanthemum soup with pearl abalone 杭菊干贝炖珍珠鲍鱼 ($18.80 per person) fortified with wolfberries, pork and red dates, and served in a Chinese zisha teapot. 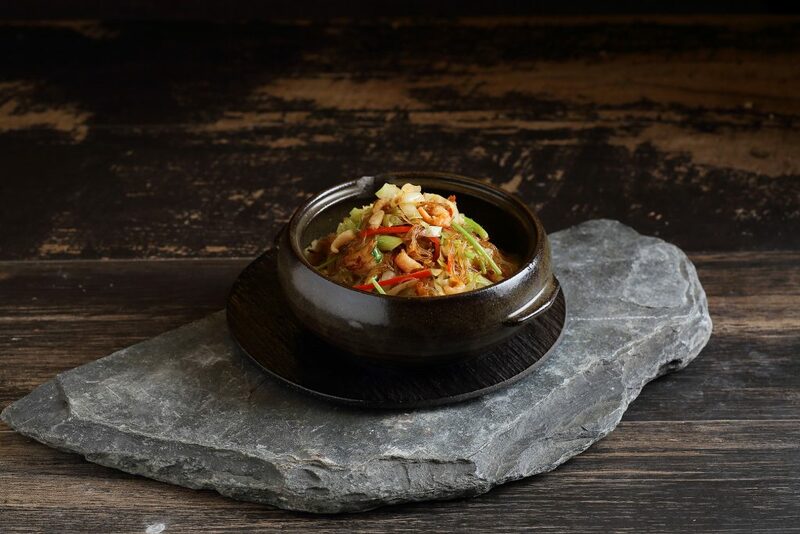 Tuck into a tempting array of hot dishes that showcase a range of culinary techniques, meats and produce. Served in a moat of homemade piquant ‘mala’ sauce, Mala crispy roasted chicken 麻辣脆皮烧鸡 ($15.80/half, $29.80/whole) is a winning combination of succulent meat and crisp skin. 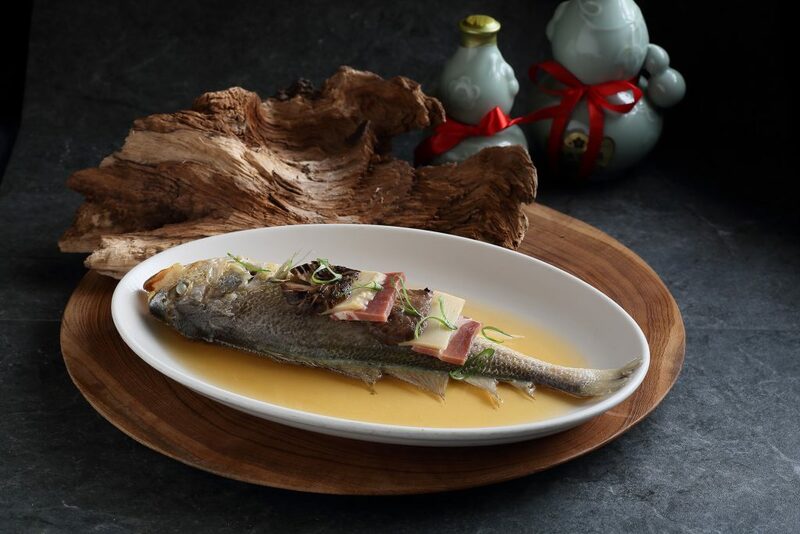 A less common but no less delicious Jiangnan specialty, Steamed yellow croaker with Chinese wine 酒香黄花鱼 ($28.80 per portion, about 400g) is a rustic dish that is heady with Shaoxing wine, which also brings out the pristine flavours of the fine-fleshed catch. Unassuming and tasty stir-fry dishes often take centerstage on the dining table. At Crystal Jade Jiang Nan, these wok-fried specialties include Sautéed dried shrimp and vermicelli with cabbage 虾米粉丝包菜 ($13.80 per portion, pictured left) with sweet shredded cabbage with slightly-charred edges and a hint of numbing-heat from Szechuan peppercorns, Sautéed spicy assorted mushrooms and asparagus with shredded pork 江 南 小 炒 辣 ($15.80 per portion), and Sautéed black fungus, honey pea and crispy lotus root slices 荷塘 月色($16.80 per portion). 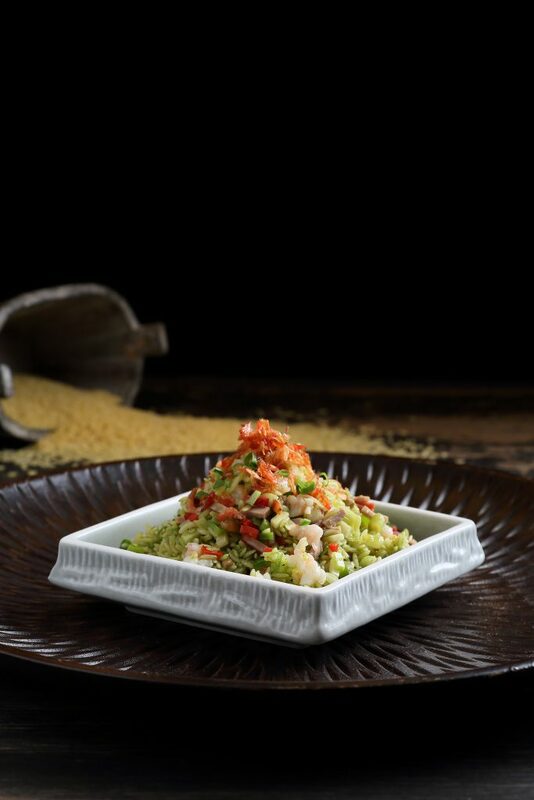 A quintessential Jiangnan dish, Yangzhou fried rice is world-famous and well-loved for its simple appeal. Chef Foo has re-interpreted this dish with his unique twist. Crystal Jade Yangzhou Fried “Rice Shaped Pasta” 米形意 粉，翡翠扬州炒饭 ($16.80 per portion) is prepared with orzo; a short-cut pasta, and cloaked in a fragrant emerald-green spring onion blend, and expertly-tossed with asparagus, shrimp and egg with a final flourish of sakura ebi. Another noteworthy rice dish is Poached and crispy rice in superior prawn broth 浓汤虾泡饭 ($23.80 for 3-4 pax) – an umami-laden prawn broth laced with a thin film of crustacean oil rendered from the simmering of prawn shells, with steamed rice and deep-fried crisp grains which crackled pleasingly when sprinkled over the soup. Round off the meal with a nourishing Double-boiled snow pear with Osmanthus 桂花炖雪梨($7.80 per person) and an ethereal Soufflé egg white ball with red bean and banana 高利香蕉豆沙 ($8.80 for 3 pieces); pillow-soft nuggets with a smooth red bean and banana filling. Japanese sweet potato pastry 日本紫薯酥 ($7.80 for 3 pieces) and Cream custard mochi 奶黄麻兹 ($6.80 for 4 pieces) provide more options. 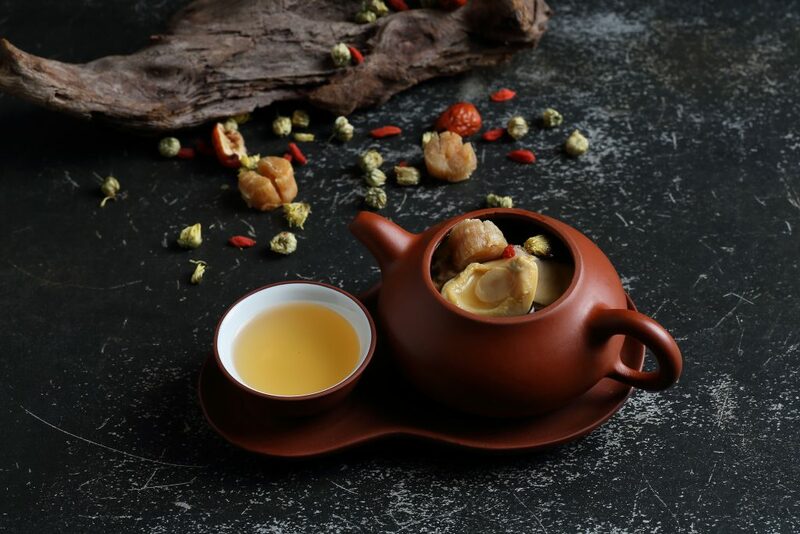 To complement the dining experience, Crystal Jade Jiang Nan also offers a compact menu of fine teas such as Shou Mei ($4.50 per person), Snow Chrysanthemum ($4.50 per person), as well as house red and white wines ($15-$19/glass), beer, mocktails and juices among others.